Teens team up with Abilis and the YWCA of Greenwich to host a special Hollywood themed red-carpet dinner and dance event aimed at strengthening community and respect for people – their differences, needs, abilities, and dreams. Greenwich based teen volunteers led and organized by the Greenwich Junior United Way (GJrUW) are working together to produce an event unlike any other for the Greenwich community titled, Together We Shine. The special event will be held on Saturday, June 9, 2018, from 5:30 pm to 8:30 pm at the YWCA of Greenwich (259 E Putnam Ave, Greenwich, CT 06830). Teens from various clubs at Greenwich High School (Hand in Hand, Unified Sports, Come Together, Picking Up the Pieces, Roots and Shoots, Outreach Club, Former Attire); and the Boys & Girls Club of Greenwich, Keystone Club are also participating in the event. This inclusion event is the first of its kind for Abilis clients; the evening consists of a three-hour long dinner and dance that celebrates inclusion and is open to all Greenwich public and private high school students and recent graduates (ages 15 to 20). Produced by Greenwich Junior United Way teens for people in the Greenwich community with special needs, this event is aimed at strengthening connection in the community and promoting respect for people — their differences, needs, abilities, and dreams. “The red carpet theme, complete with paparazzi, promotes the idea that everyone has the ability to shine,” said Greenwich Junior United Way Program Coordinator, Amanda Finn. She continued, “The goal of this event is to bring the community together in a really special way, and provide everyone involved with memories that will last a lifetime”. Hair, makeup, and wardrobe will be provided to Abilis clients offsite prior to the event. Guests will arrive at the event by limo and VIP car service provided by CTNY Limo. WRBC Support Services (A Berkley Company), is helping to collect clothing and raise funds for the event. “We are all really excited to be partnering with Abilis and the YWCA on this event,” said Greenwich Junior United Way member, Erin O’Connor. 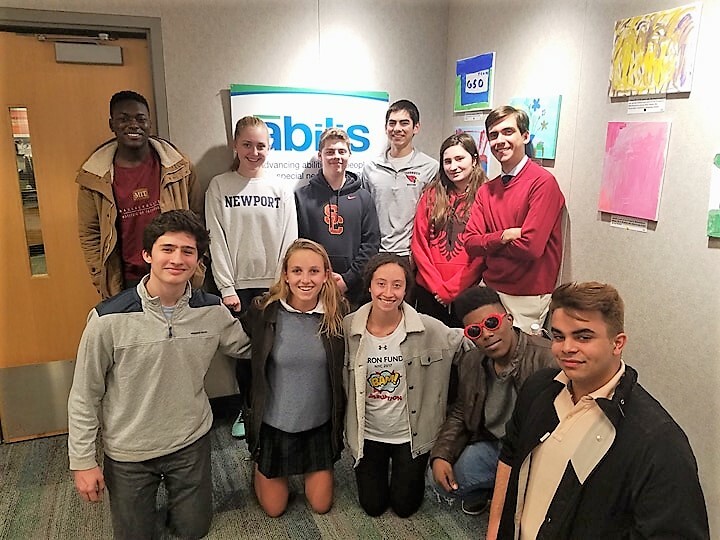 She continued, “Together We Shine is a really fun way for teens throughout Greenwich to connect with members of Abilis, as well as give them the opportunity to feel included in the community. The idea of celebrating differences within the Greenwich community is what makes this event so special. It will be an amazing night”. This event is free for Abilis clients and a limited number of $20 tickets are available to local teens. Dress code is black-tie optional. Corsages and boutonnieres will be provided by the Abilis Gift Shop and Florist. Flowers for table tops will be provided by Sam Bridge Nursery. Music will be provided by DJ Elle Katsaros. Food will be provided by Cafe Oo La La, Bella Nonna Restaurant and Pizza, Barbara Finn, Fuzari’s Pizza, Garden Catering, Corbo’s Corner Deli, Famous Greek Kitchen, Burgers, Shakes, & Fries, and Mill Street Bar and Table. Hairstyling for Abilis clients will be provided by Barbara Finn, Joanne Costanzo, and Janus Sanchez of Mane Event in Byram. Makeup for Abilis clients will be provided by Aliza Miklos, Peter J. Bruno, Essie Cohen, and Meredith Hayman Hanson. Event giveaway partners include The Capitol Theatre, Founders Entertainment, Kari McMinn, Elliptica of Old Greenwich, Granola Bar, Benefit Cosmetics, Pinkberry, Simply Beauty by Sonia, Chipotle, Gofer Ice Cream, Bruce Park Sports, Ada’s Kitchen + Coffee, Glenville Deli, Chicken Joe’s, Equinox, and Acting & Voice Studios in Greenwich. Maison D’Alexandre Salon will donate haircuts to Abilis clients leading up to the event. Decorations were donated by Greenwich High School, and Greenwich High School photography students will act as paparazzi during the event. Abilis is a 501(c)3 non-profit organization that supports over 700 individuals with special needs and their families annually from birth throughout adulthood. Abilis has been a leader in serving the special needs community in Fairfield County in towns including, Darien, Greenwich, New Canaan, Norwalk, Stamford, Westport, Weston, and Wilton, and has a long-standing reputation for individualized, high-quality care. For more information, visit www.abilis.us, or facebook.com/Abilisinc, twitter.com/Abilis, or instagram.com/abilis_us.